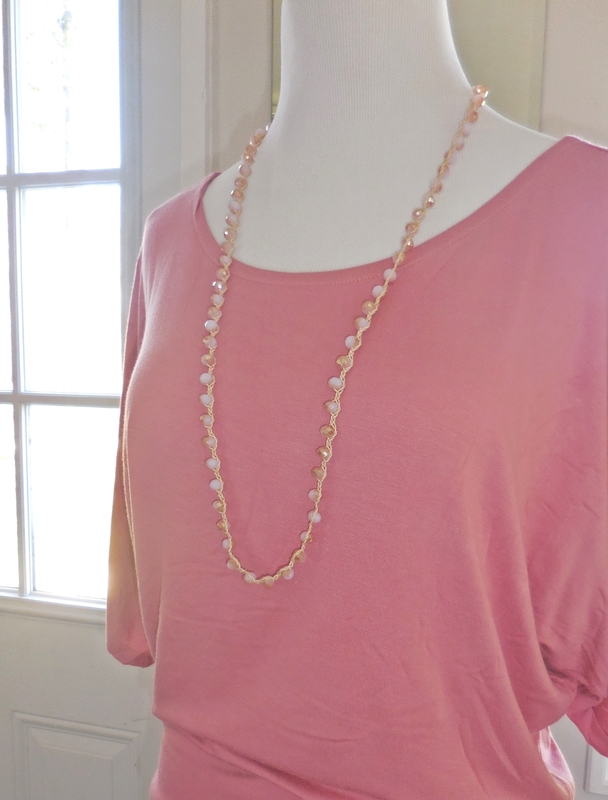 The faceted beads on this pink crystal necklace are woven together reminiscient of macrame. Quite pretty and minimalistic looking! 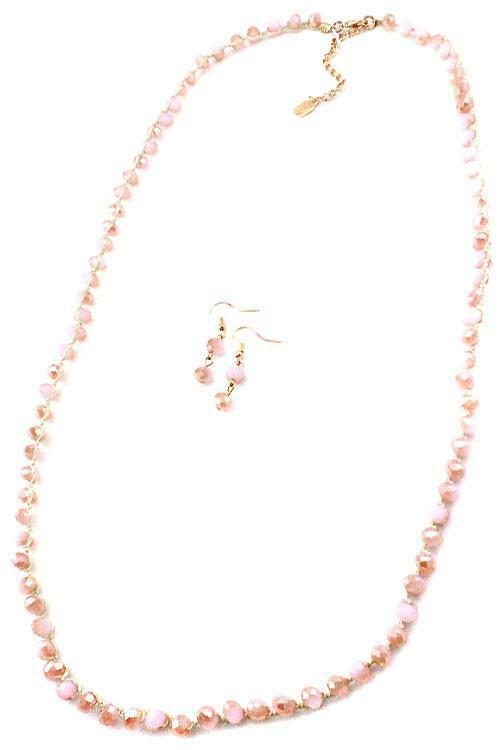 Set includes necklace and earrings. Necklace measures approximately 33" long with a 3" extender.